By Steve Heintz of Heintz & Becker posted in Car Accidents on Monday, October 19, 2015. Virginia Boria, 87, of Parrish was seriously injured on Saturday, October 17, 2015, after the driver of the car she was a passenger in ran a red light at the intersection of U.S. 301 and 60th Avenue East in Manatee County. Diane Salmonsen, 57, of Parrish was headed west with Boria on U.S. 301 in a 2011 Toyota Rav4 when she ran a red light and crashed into a 2006 Honda Pilot driven by Clifford Temps, 77, of Bradenton. There are an average of 7 fatal crashes and over 1,000 injury crashes at signalized intersections across the U.S. on any given day. A person has a higher chance of being injured in a red-light running crash than any other type of crash. Red light running is the most common cause of all urban crashes. 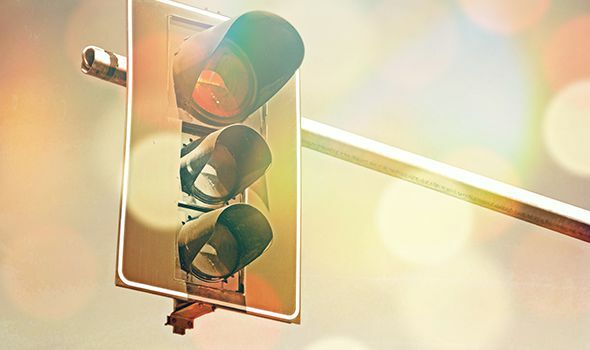 Someone runs a red light an average of every 20 minutes at urban intersections. Red light runners injure an estimated 165,000 motorists, cyclists, and pedestrians each year in the U.S.
Red light running accidents are preventable and you can be part of the solution. Heintz & Becker asks everyone to exercise due care when driving and to not take chances at intersections. Slowing down, instead of speeding up at yellow lights is one of the best ways to prevent accidents and injuries. As to the drivers who continue to take chances by running red lights, Heintz & Becker stands ready to hold them accountable for the consequences of their actions. If you or a member of your family is the victim of a red light runner, call the attorneys at Heintz & Becker – we want to hear from you. A revolution is underway at the Legacy Golf Club in Lakewood Ranch that lets golfers “surf the turf.” It’s called ‘GolfBoarding” and it’s the latest golfing craze thanks to the invention of the “GolfBoard” by Don Wildman, who created Bally Total Fitness, and Laird Hamilton, a well-known professional surfer. For those invested in the golf industry, the hope is that the trendy machine that resembles a giant skateboard on wheels will attract more young players and revitalize excitement in the game. The GolfBoard was named new golf product of the year in 2014 and is taking the greens by storm. GolfBoards have a stability bar with a switch, and a high-tech suspension system for a smooth ride. Turning is accomplished by shifting your body to the direction you want to go – much like skateboarding and snowboarding. Obviously, these new machines do not come without safety concerns. So, how do you learn how to safely operate a GolfBoard and reduce your chances of getting hurt? Before you can set out on your GolfBoarding adventure at the Legacy Golf Club you must complete a training session and sign a waiver which says the Club is not responsible for any accidents or injuries. In addition to keeping our readers informed about safety issues, Heintz & Becker is always looking for new developments to share information about. The GolfBoard is the most exciting development to come to golfing in years and we are excited that our local Legacy Golf Club is taking the lead in making GolfBoards available to its players. Whether you are adventurous enough to try GolfBoarding or prefer the traditional comfort of a golf cart, the injury attorneys at Heintz & Becker remind you to make safety a priority at all times. The fun, convenience and economy of getting around in a golf cart or Low Speed Vehicle can be very appealing. But, there is a major catch. Golf carts and Low Speed Vehicles are just not designed to be as crash-worthy as cars or to offer the same kind of protection against injury to their occupants. So, if you get in an accident in one of these alternative vehicles, you are more likely to be ejected and/or suffer serious injuries than if you had been in a traditional automobile. Over 10,000 golf cart related injuries send people to the emergency room in the U.S. every year with head trauma, fractures and other serious injuries. Because they are intended for low risk driving, these alternative vehicles just don’t measure up to traditional automobiles in terms of passenger protection, braking ability and impact absorption. In addition, sharp turns and steep inclines and declines can create the danger of rolling over or passengers being ejected. Just think of all of the safety features and safety testing that come with a traditional automobile. Compare that list to what you get with a golf cart or Low Speed Vehicle and it’s easy to see why the safety differences exist. Safety concerns are multiplied further in situations where golf carts and low speed vehicles use the same roadways as cars and trucks. That’s why golf cart friendly communities like the Villages and Sun City Center go to great lengths to emphasize responsible driving, safety and accident prevention. For these communities, maintaining the privilege of being able to get around by golf cart and Low Speed Vehicle as safely as possible is a real priority that requires constant work, dedication and cooperation. Heintz & Becker urges drivers of all types of vehicles to make safety a personal priority and to share the road responsibly and with common courtesy. We hope that you enjoy accident free driving, but should you ever be injured due to another driver’s carelessness, our experienced accident attorneys are here to help with your injury-related claims. Please continue watching for more valuable information about golf carts and Low Speed Vehicles. Our next feature will discuss ways to protect yourself with golf cart and Low Speed Vehicle insurance.